The estate is located in Mercurol, in the heart of the Crozes-Hermitage appellation. Created by their grandfather and developed by their father and mother, the estate of sisters, Lucie and Nancy, now extends over 10 ha with 9 ha planted in red grapes and 1 ha planted in white grapes. The harvest is entirely manual, the winemaking is done in native yeasts, without chaptalisation or acidification and without S02. 100% Roussanne harvested from sandy, clay-limestone small galet stone covered soils on Les Chassis. Wild yeasts, steel vat fermented and raised 6 months. This is a fined, filtered and organic wine. 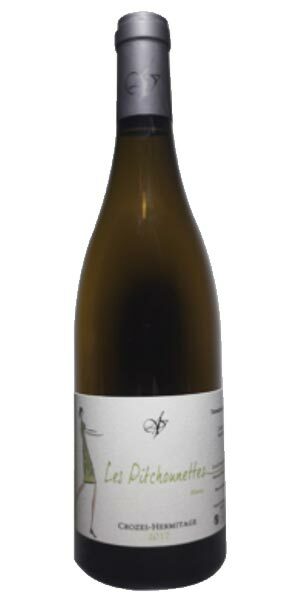 Glistening yellow robe; has a subdued, discreetly rich nose that offers quince notably, white plum airs. The palate holds easy gras richness, a flavour of apricot, a little spice. It’s a supple wine that ends gently, a touch floral, gives neat drinking, is fresh and precise with a trim body.